Driving from Jelenia Góra towards Zgorzelec down the road no 30 you cross Siedlęcin (green board). There you have to turn to Siedlęcin (white board) and drive straight ahead down the main road all the way long. Right past the bridge you ought to turn left, and then the tower will be noticeable directly opposite. 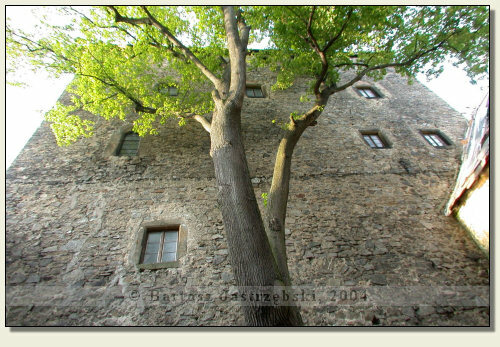 A residential Tower in Siedlęcin emerged at the beginning of the XIVth cent. on the initiative of dukes of Świdnica-Jawor. 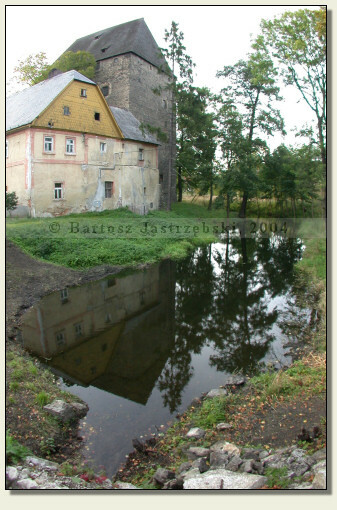 Numerous murals, which were funded by duke Henryk of Świdnica or Bolko II of Świdnica inside the tower, prove it. 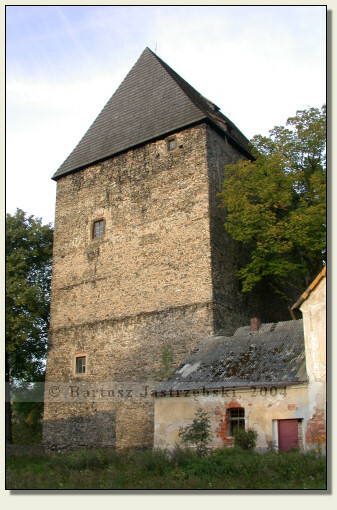 In 1369 the village along with the tower became the property of knight Jenchin von Redern. Hence up to this day you may find information in many studies that it was the knightly tower. In the XVth cent. an elevation of the building was performed and it was covered with a steep roof, which it has got at present. Later the tower became the part of estate’s buildings, which it has remained until today.